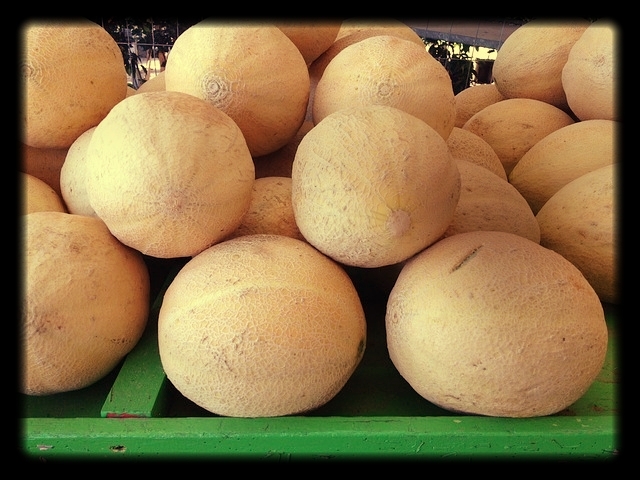 Until late September, early November, you can still find many delicious melons at your local farmers markets and grocery stores. Today, we'll focus on what watermelon and cantaloupe have to offer. Look how low cal an entire cup of watermelon is. Vitamin C & A - maintain healthy vision, wound healing, connective tissue, and imminuty. B1 (thiamin) - works to keep the electrolytes balanced, all signals firing in the nervous system and, energy production. B6 (pyridoxine) - is involved in enzyme activity used for food metabolism, especially protein and, helps keep the immunity strong. Potassium - helps maintain normal blood pressure, water balance and, healthy kidneys. Magnesium - found abundantly in the seeds, Important for many nerve & muscle functions, heart rhythm and, strong imminity & bones. That the chunk of watermelon he's eating contains the amino acid called citrulline. Citrulline helps the body with cell division, healing wounds and, healthy by removing ammonia. 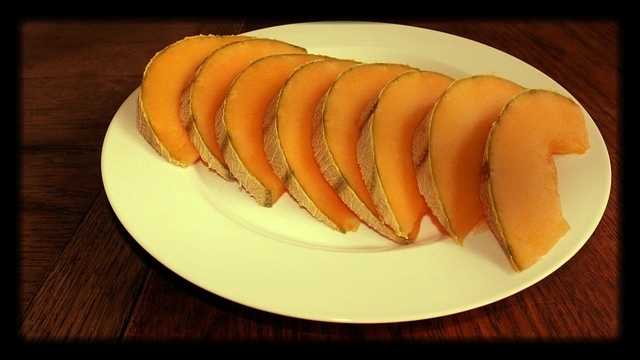 What amazing benefits in only one cup of cantaloupe! Great news for the immunity and eyes. One cup has a whopping 120% of your daily vitamin A and 108% of your daily vitamin C needs. 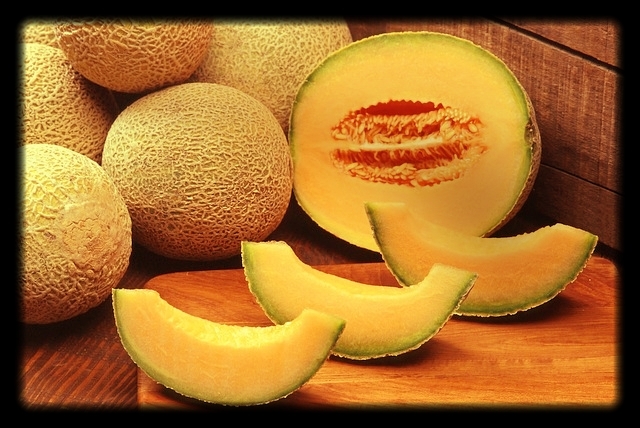 Cantaloupe’s antioxidant, cucurbitacin, is an anti-inflammatory that is sure to send inflammation running! 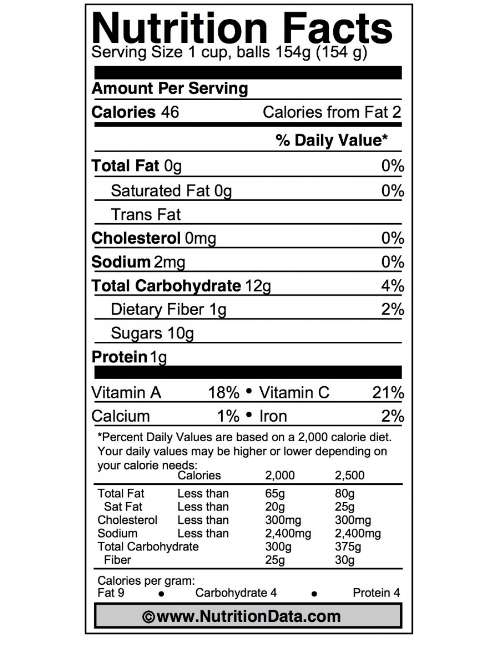 Your colon will be happy with the 2 grams of fiber in one cup of cantaloupe balls! Fiber helps keep things moving with regular bowel movements, maintains overall colon health, eases diverticulosis and, lowers the risk of colon cancer. The AICR (American Institute for Cancer Research) lists the cryptoxanthin and flavonoids, carotenoids responsible for the orange color in cantaloupe, as cancer fighters. They fight off cancer by stopping free-radical damage in the body. Click for the AICR Facts On Preventing Cancer: The Cancer Fighters in Your Food. That her piece of cantaloupe helps keep her hydrated because, it's approximately 90% water. 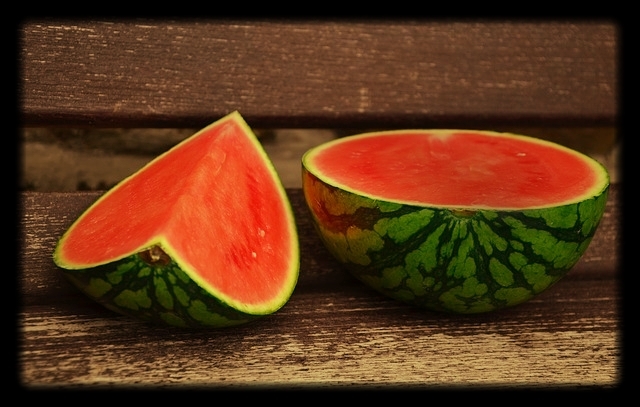 Watermelon can also do the trick because, it's approximately 92% water. Now that you know why you can really mellow out with melon, give some of the recipes below a try.